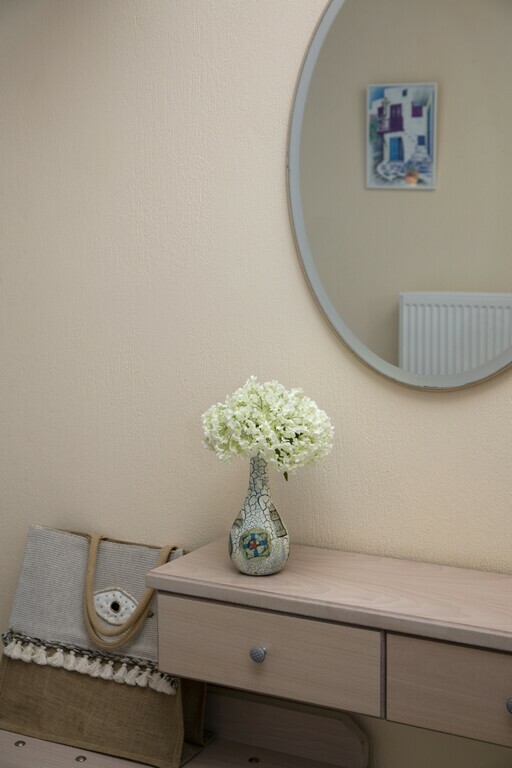 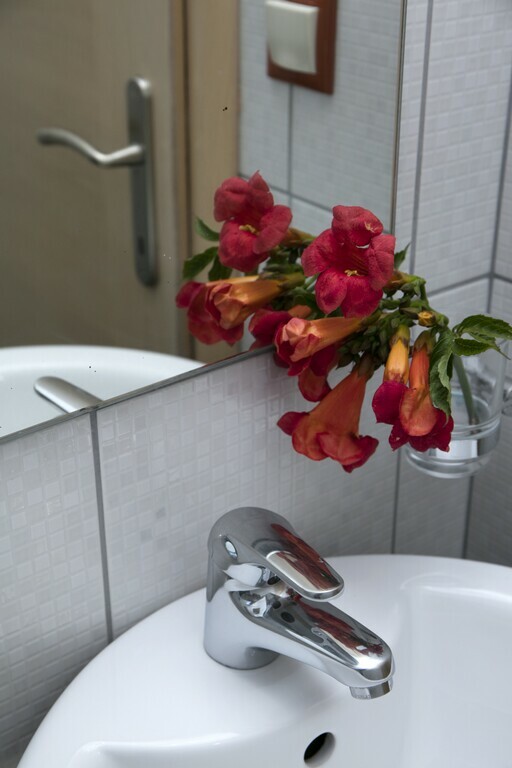 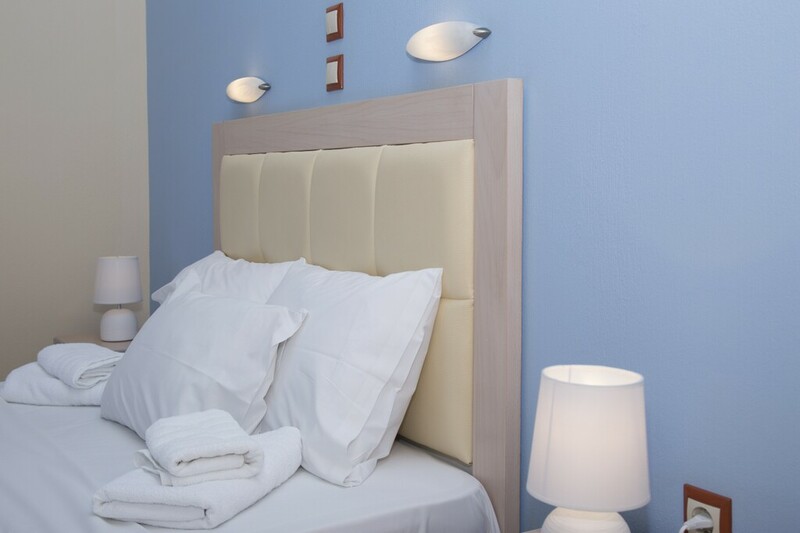 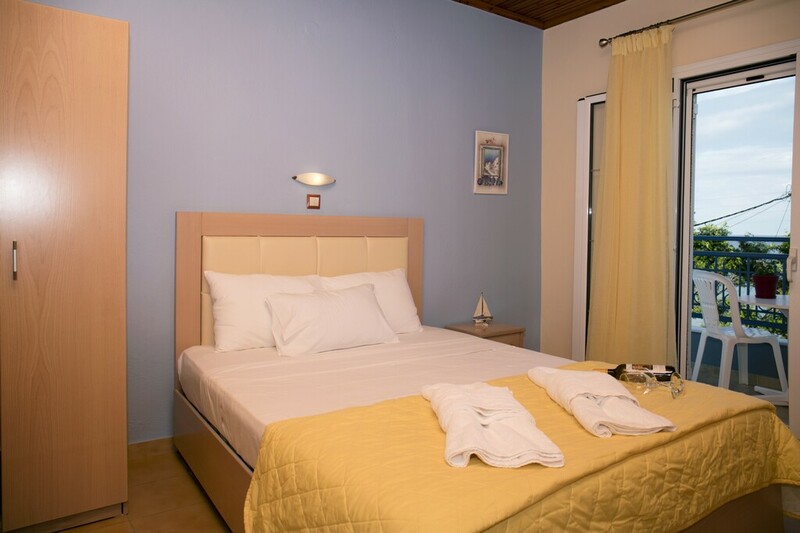 Our renovated hotel comprises a total of seven rooms, which are located on two floors four rooms of which are doubles, two triples and there is an apartment ideal for families or for a big company. 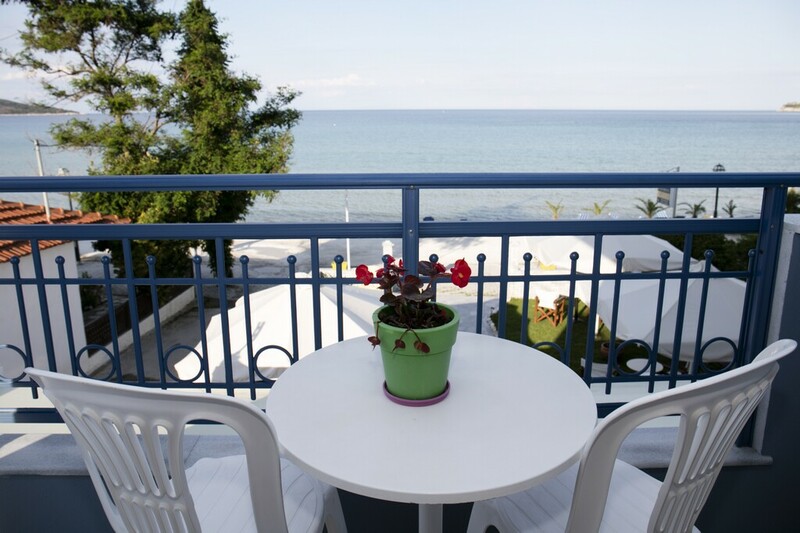 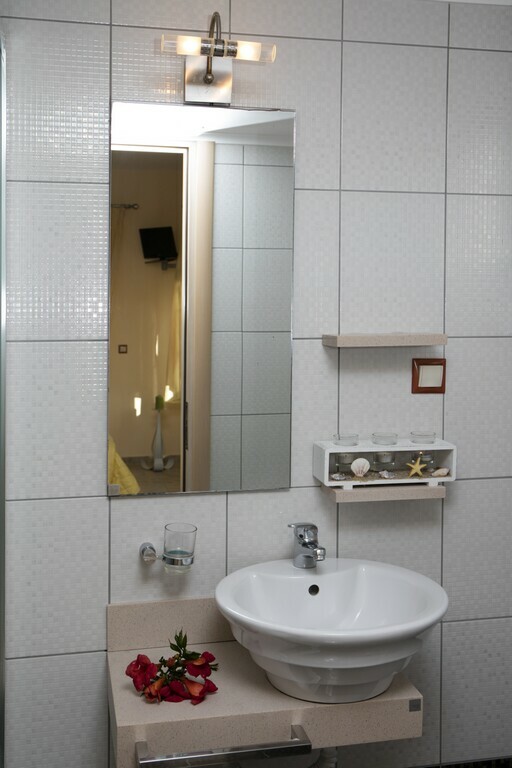 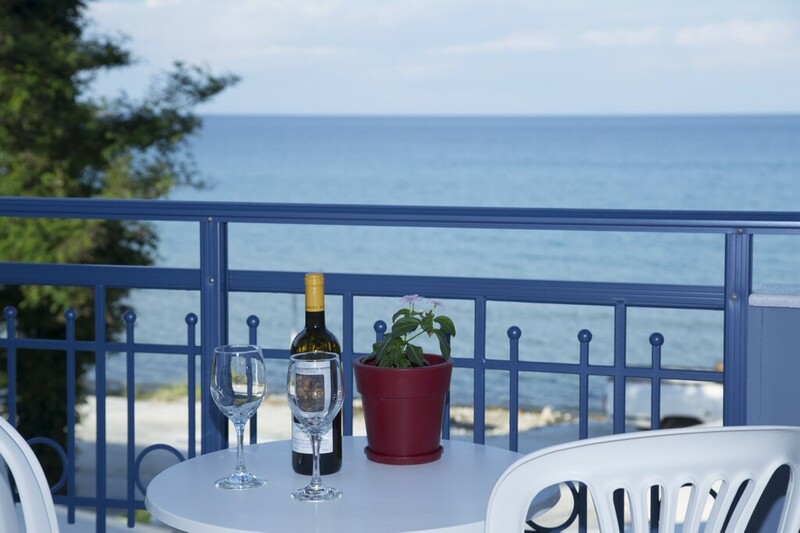 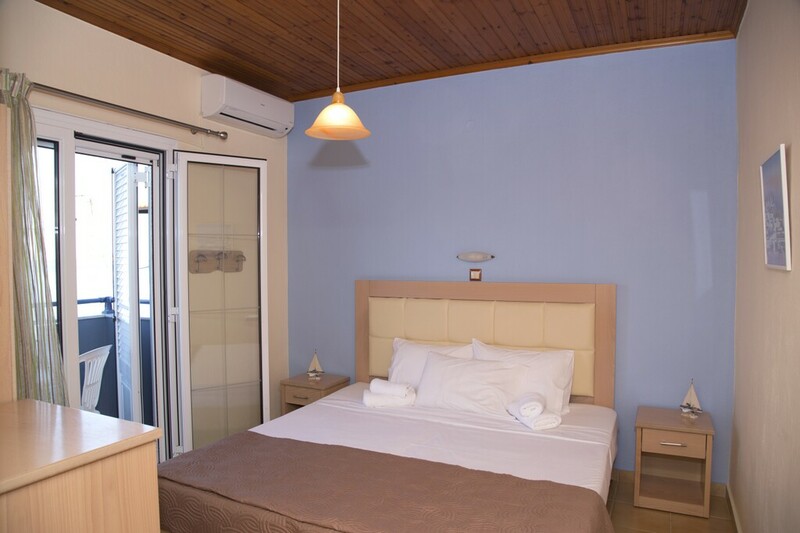 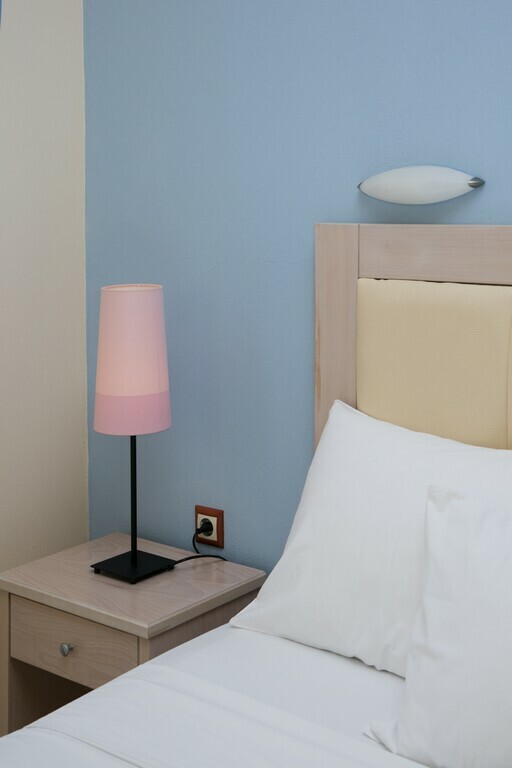 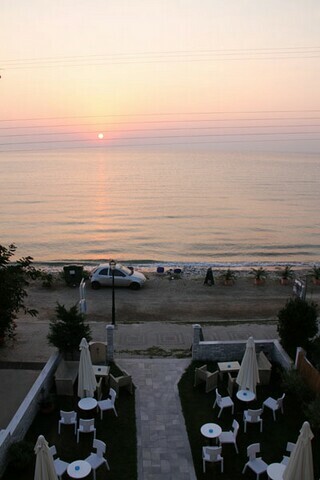 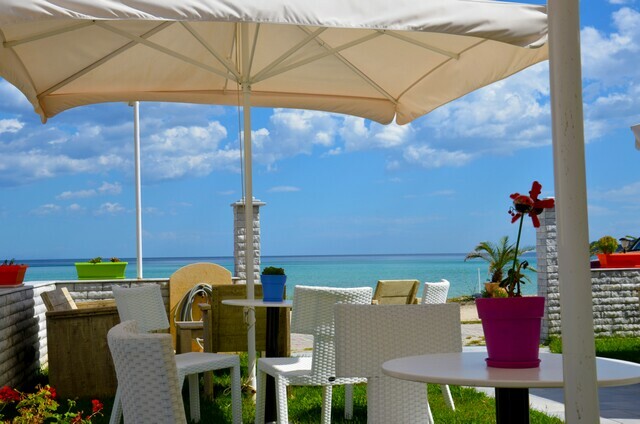 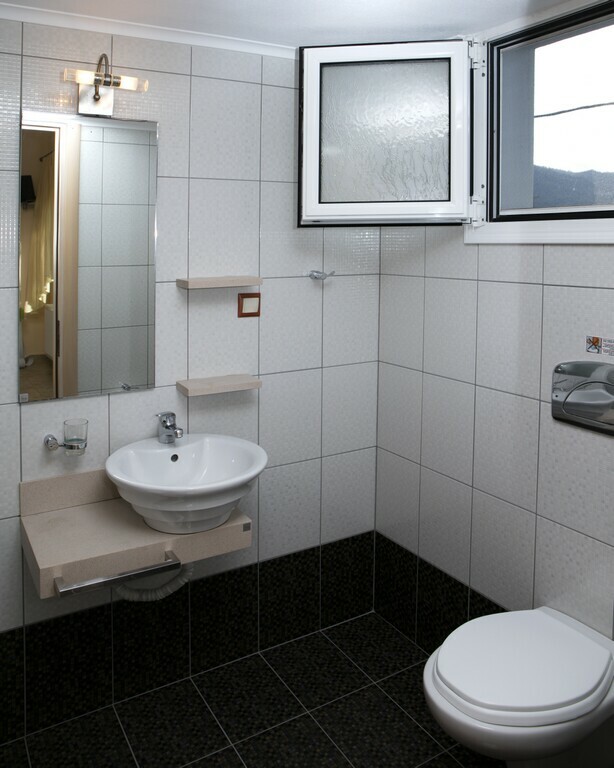 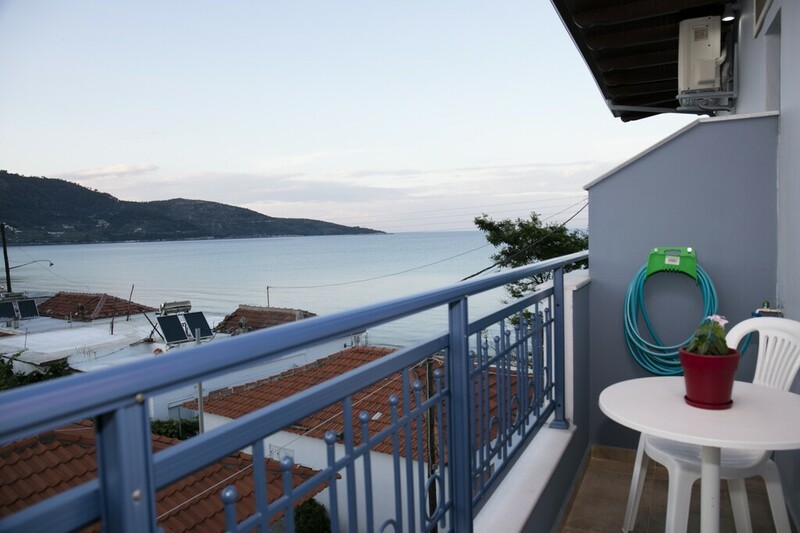 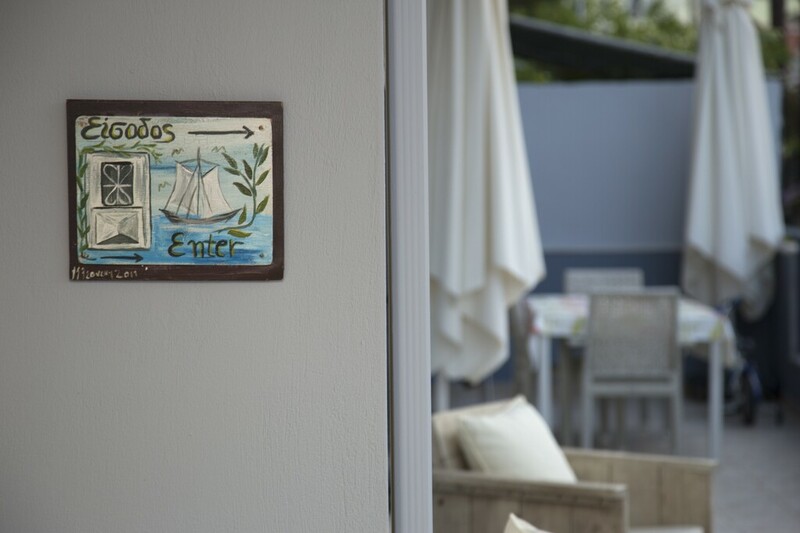 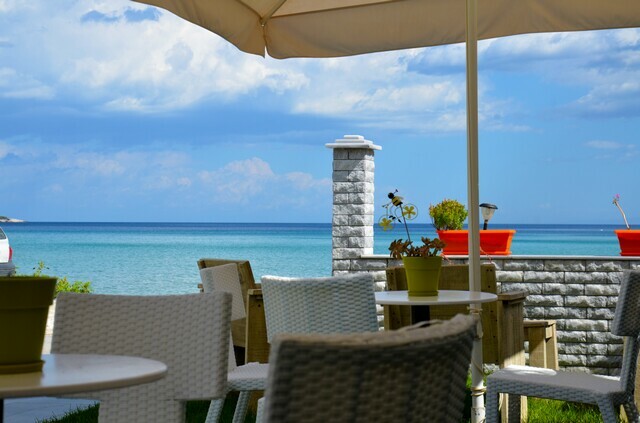 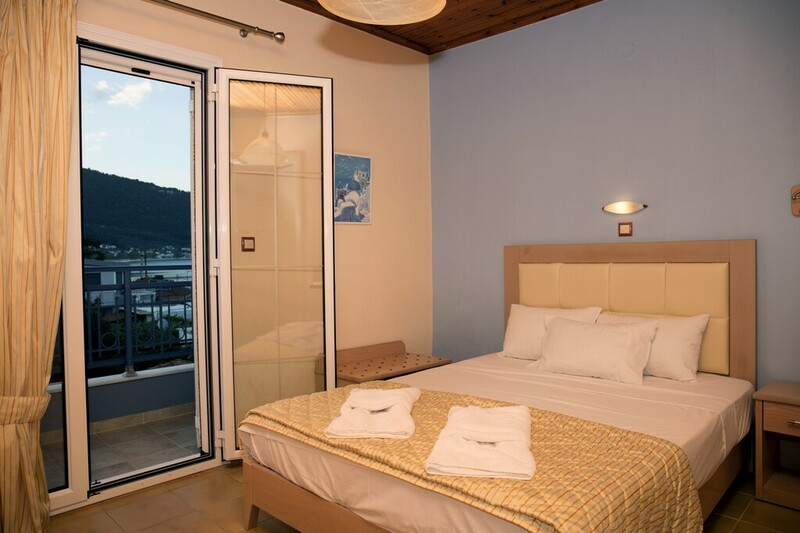 All rooms have views of either the sea or the mount Ipsario of Thassos. 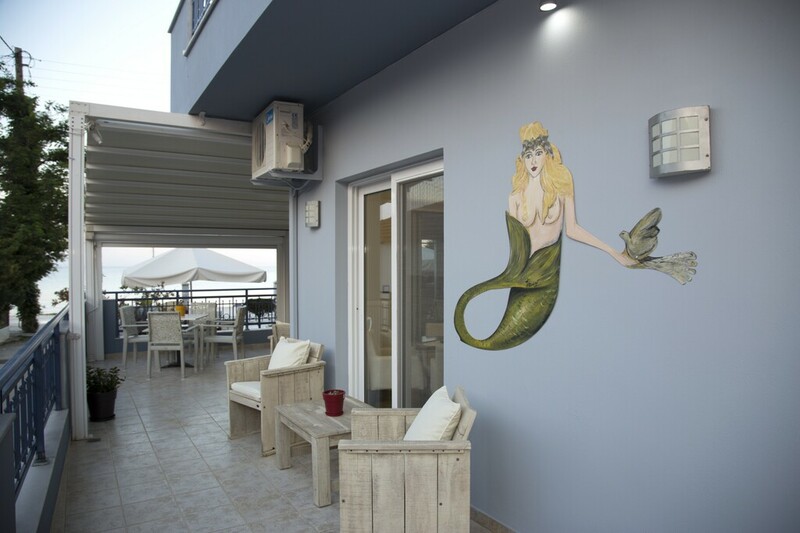 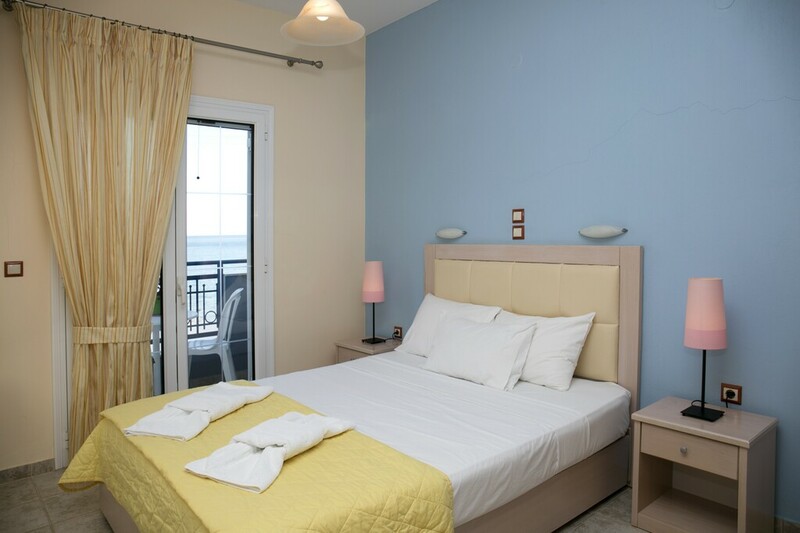 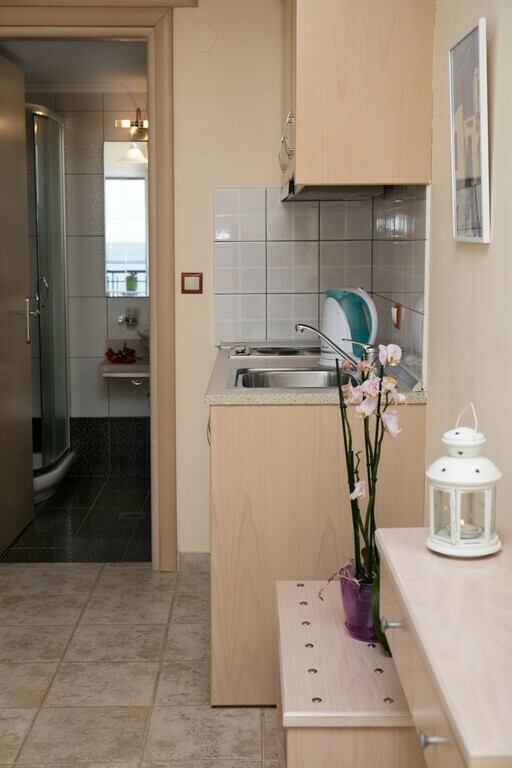 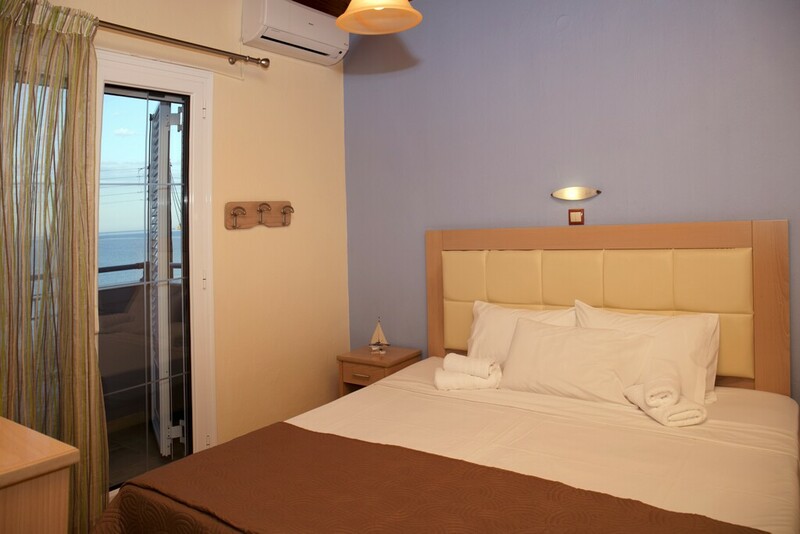 On the first 1st floor there are a double and a triple room and also an apartment overlooking the sea. 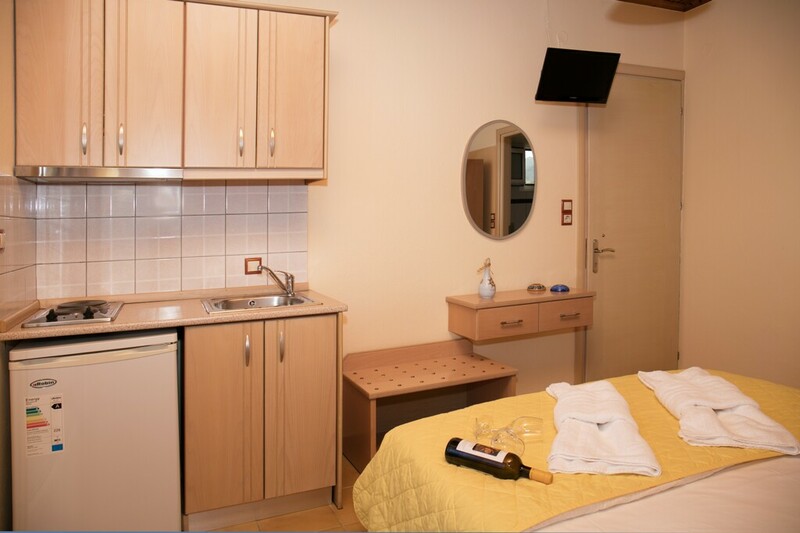 The triple apartment has a separate bedroom and three extra beds at the center room with a small dining area and private kitchenette. 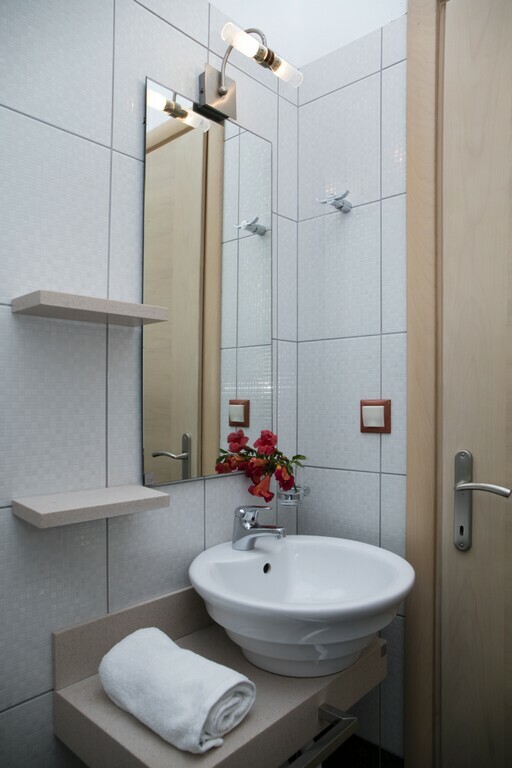 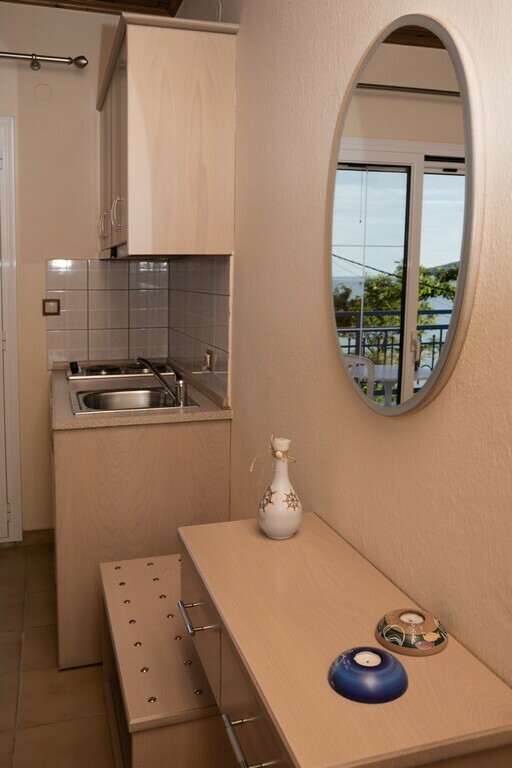 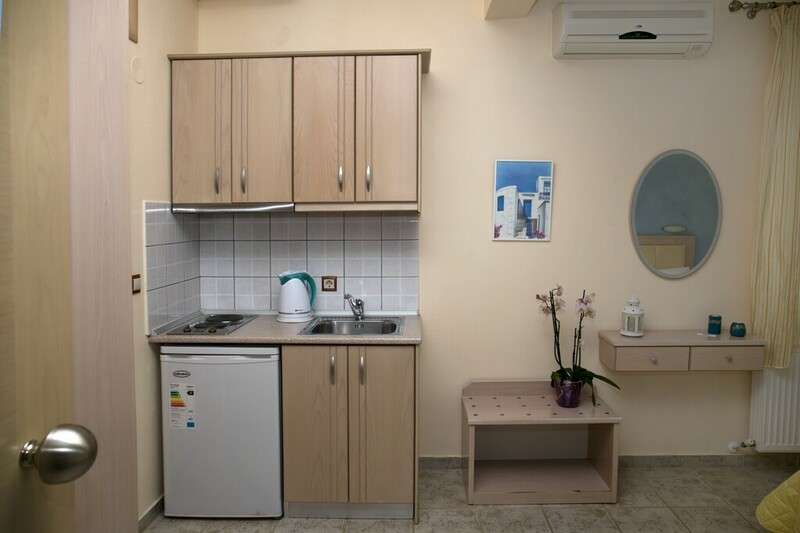 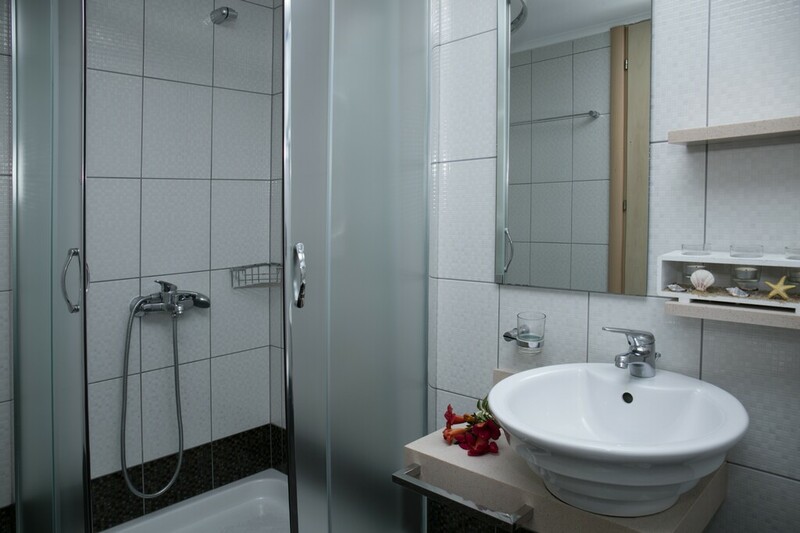 An individual kitchenette is also provided in the triple room for your needs. 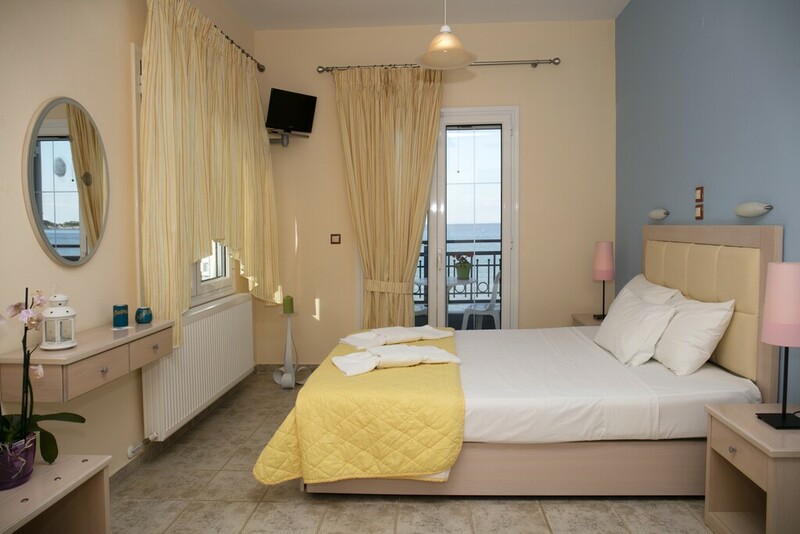 The second floor has three double rooms and one triple. 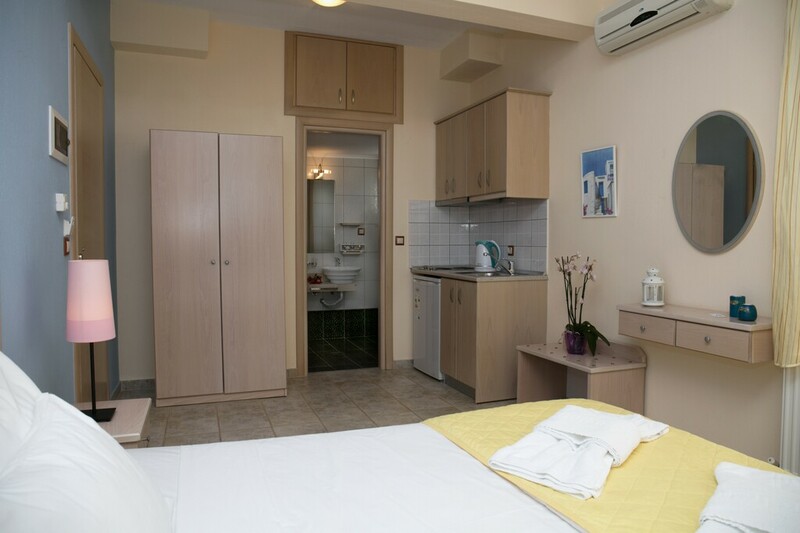 In one of our double rooms a private kitchenet is provided. 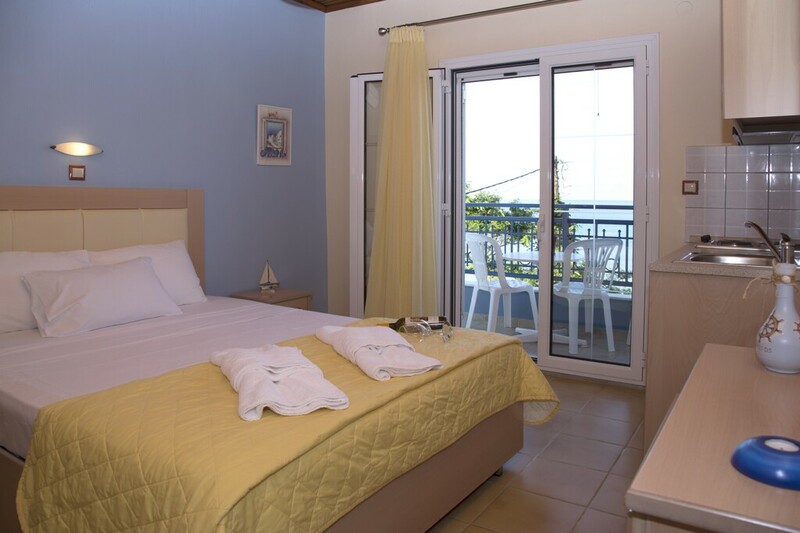 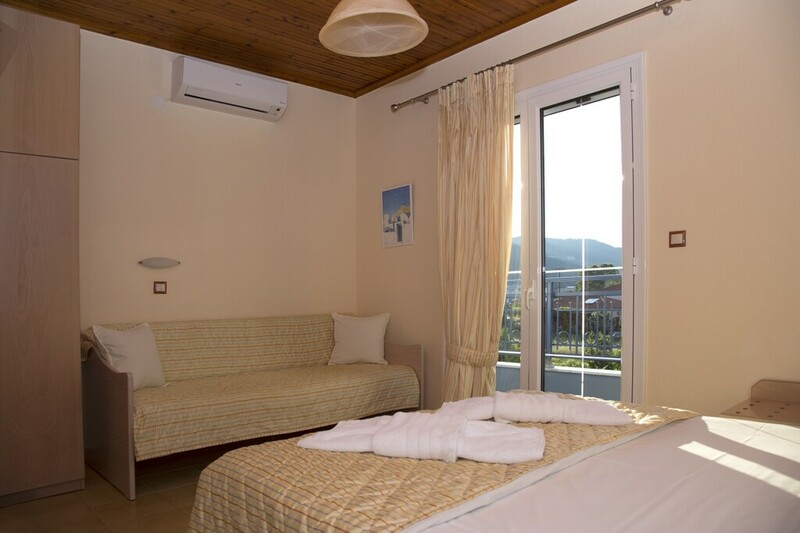 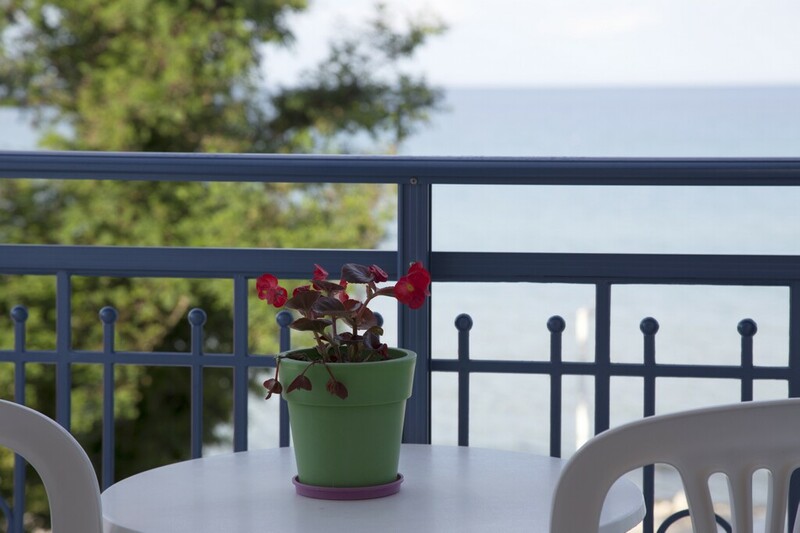 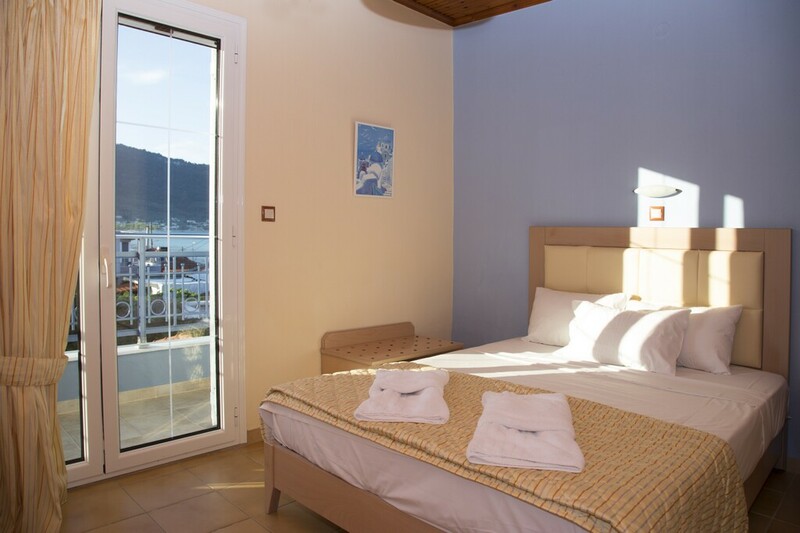 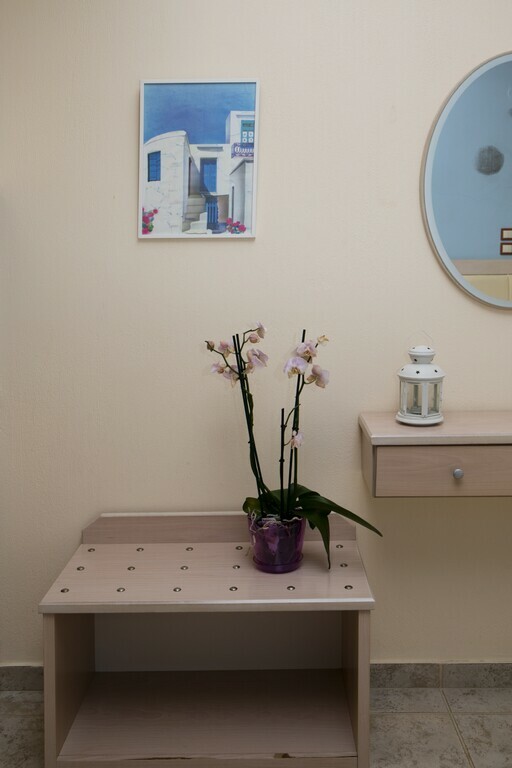 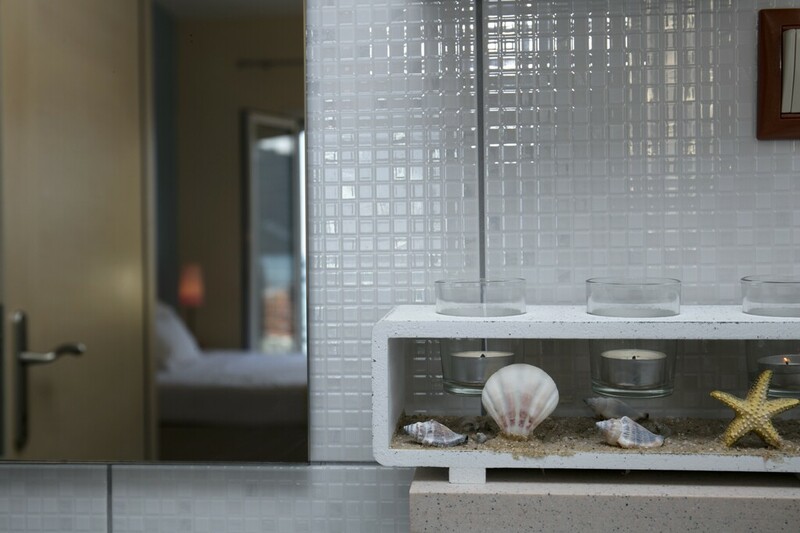 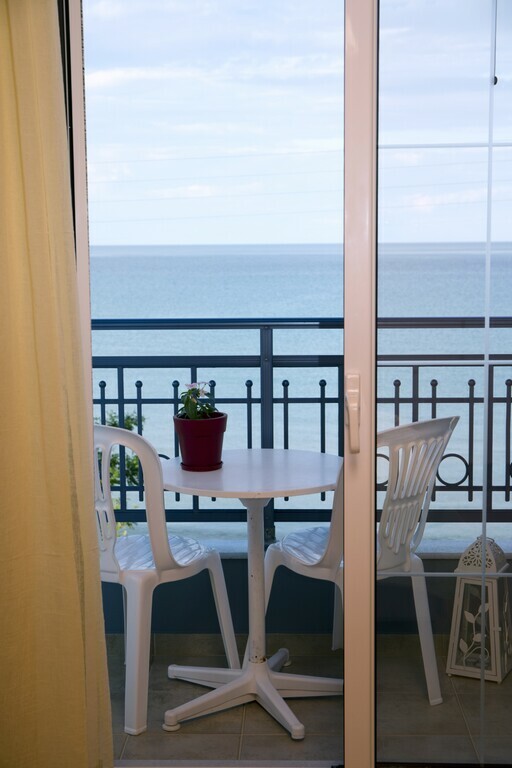 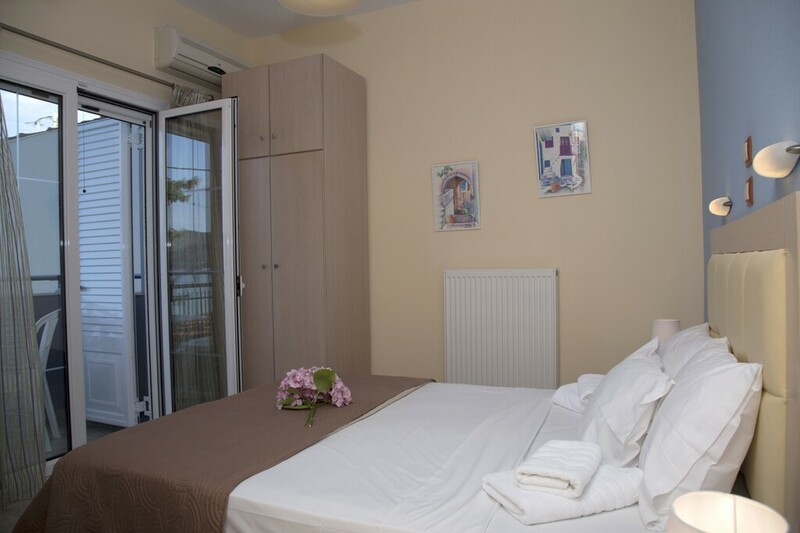 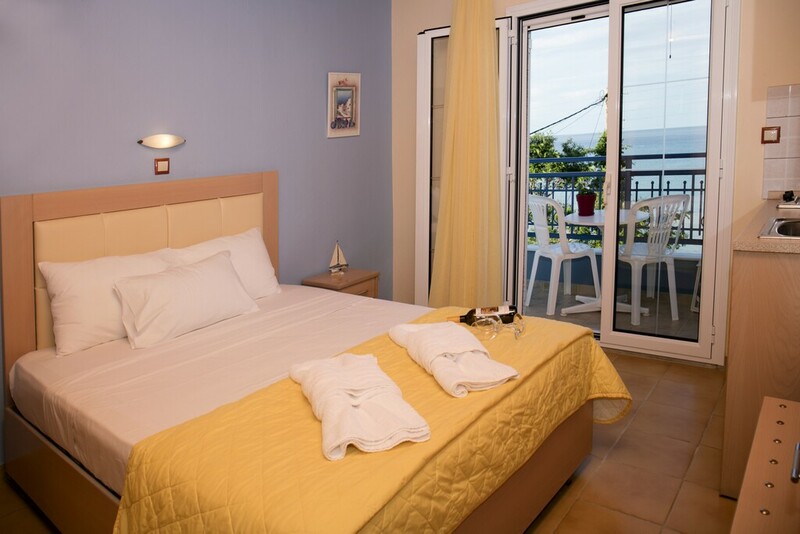 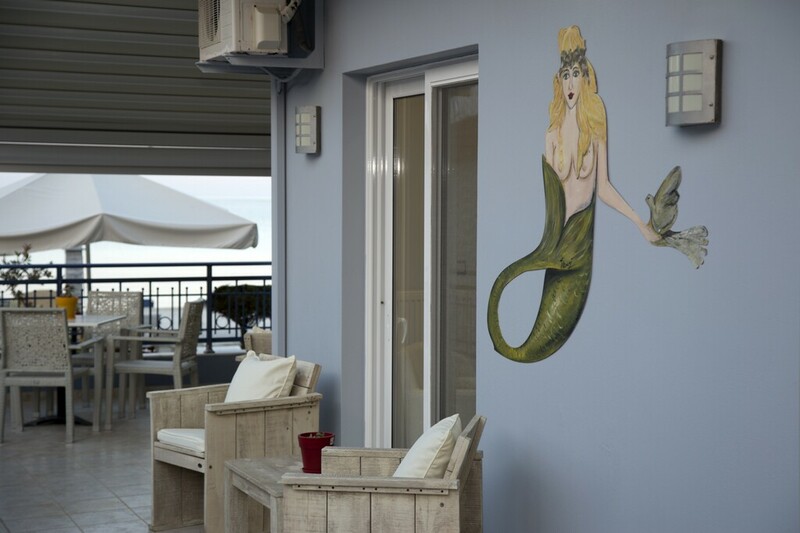 Each room has private balcony with a view of the sea or mount Ipsario. 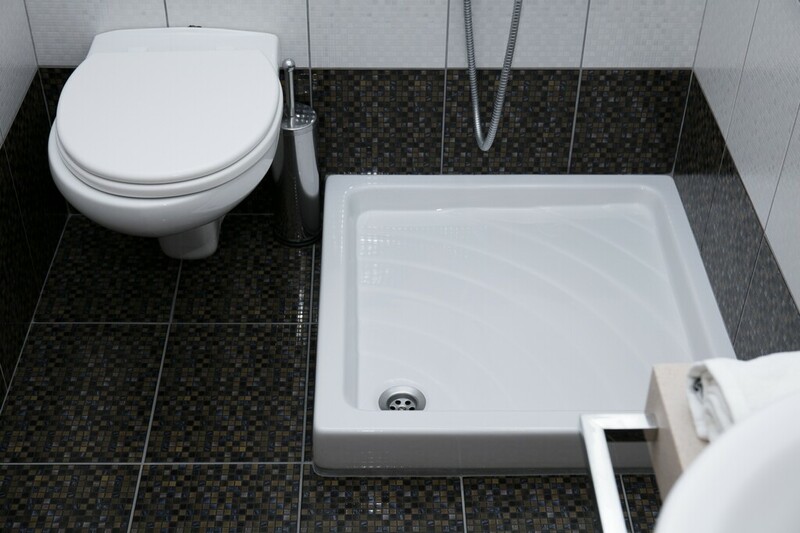 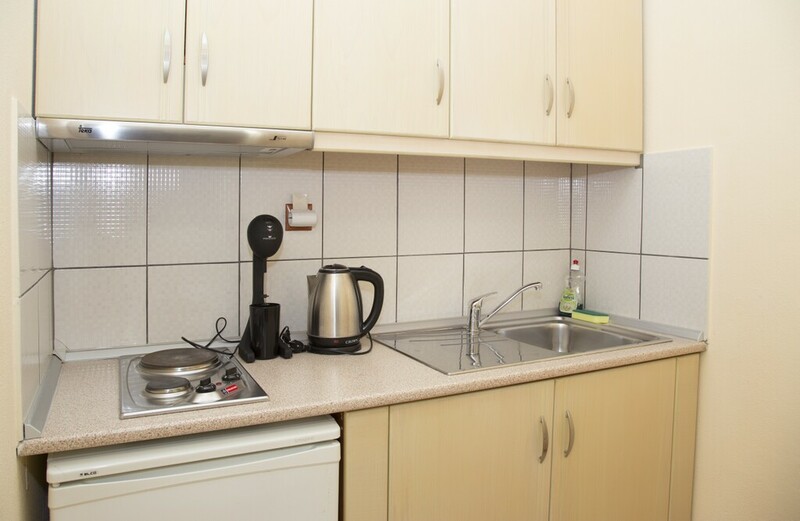 * The kitchen is available only to cover basic needs such as preparing a coffee, warm water etc. 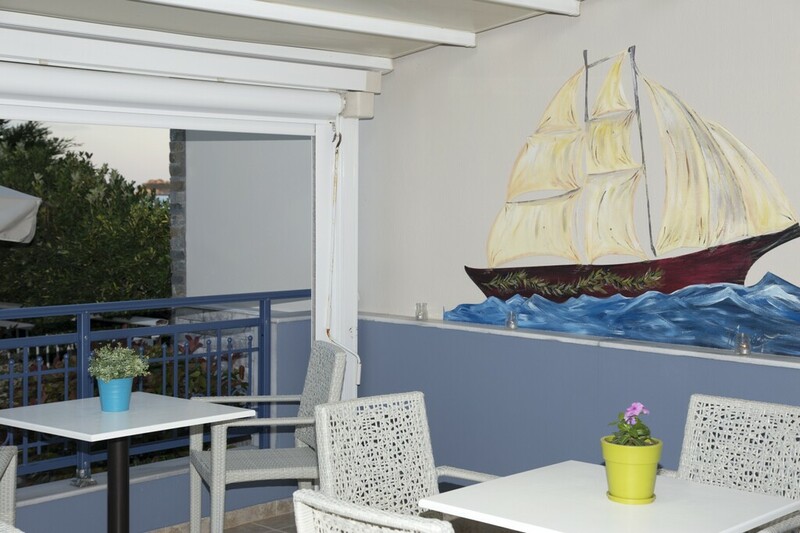 Cooking is strictly prohibited due to cooking odors, in respect to other customers. 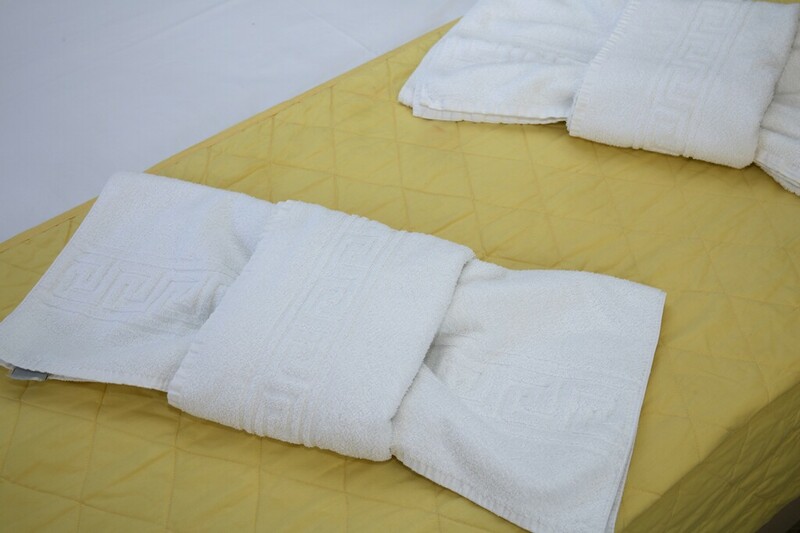 There is daily maid service and linen is changed every two days and of course when necessary. 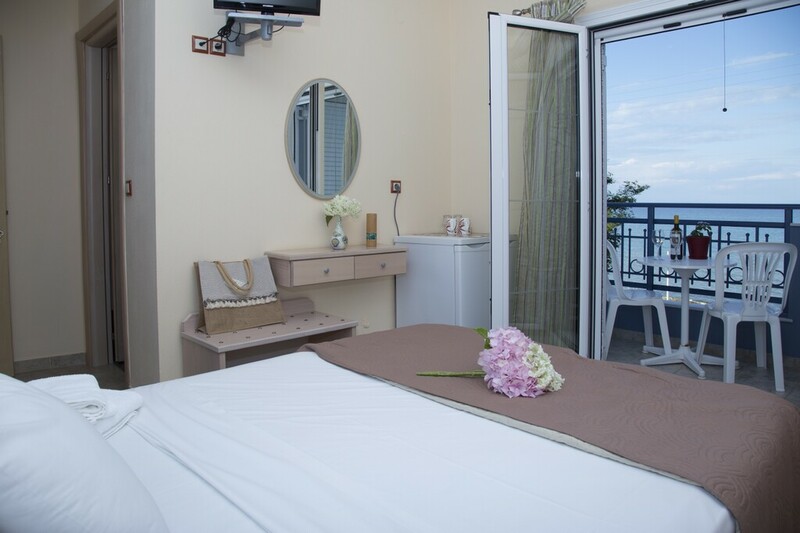 We also offer breakfast which is either served in your room or the hotel breakfast lounge, depending on your mood and if desired. 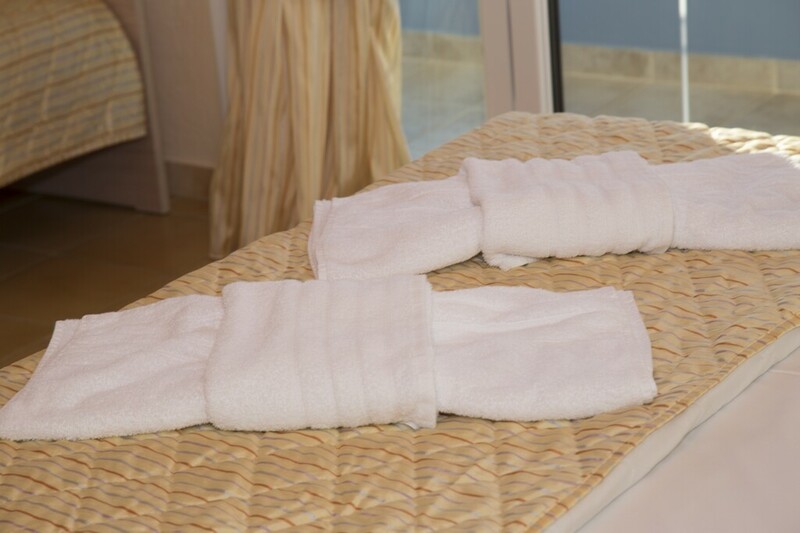 Our breakfast consists of fresh and naturaly pure products such as honey produced from our own hives and our homemade jams. 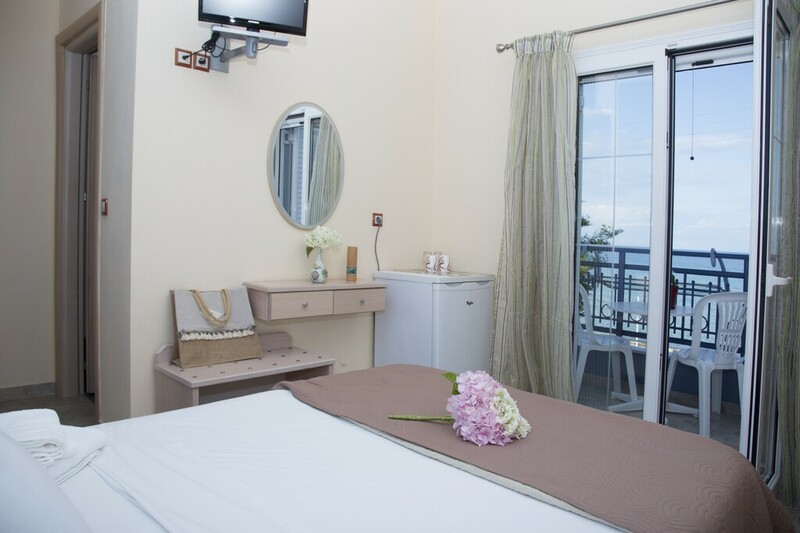 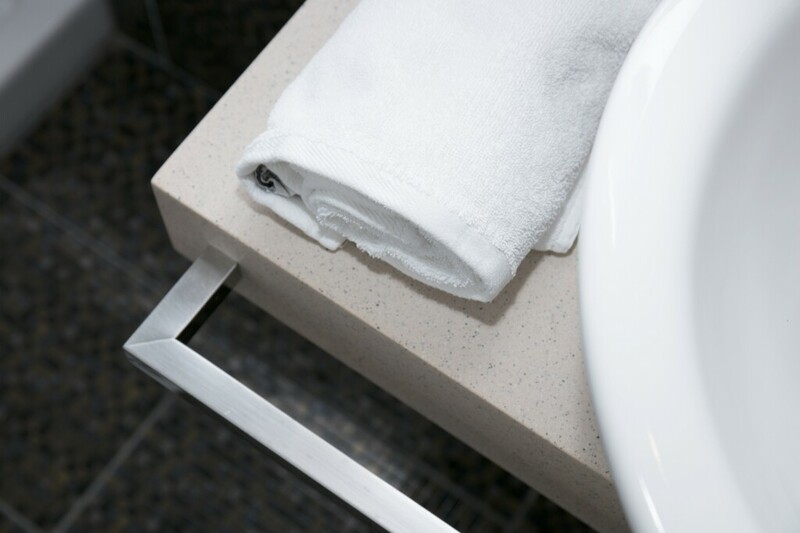 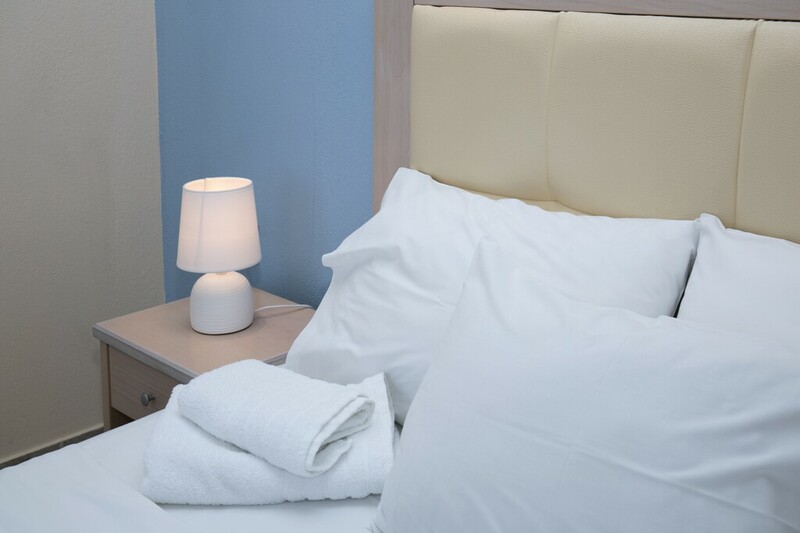 Because your comfort is our highest goal, we make sure that our rooms provide you with as much as possible. 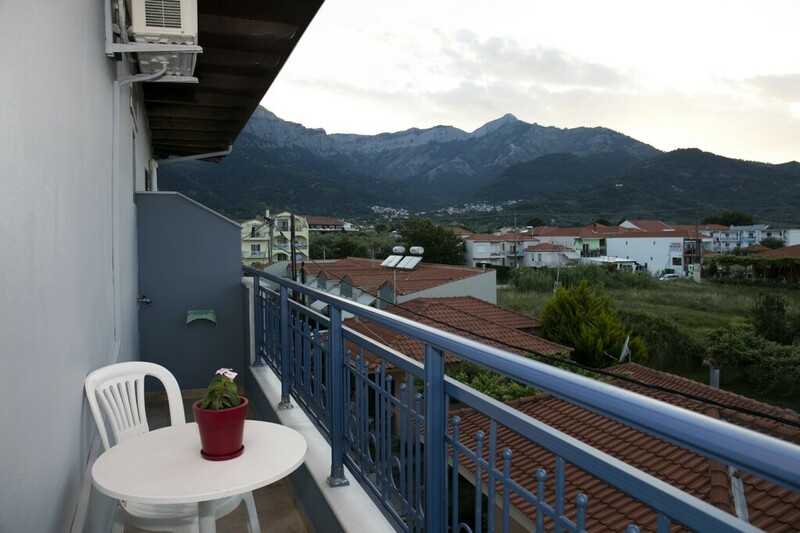 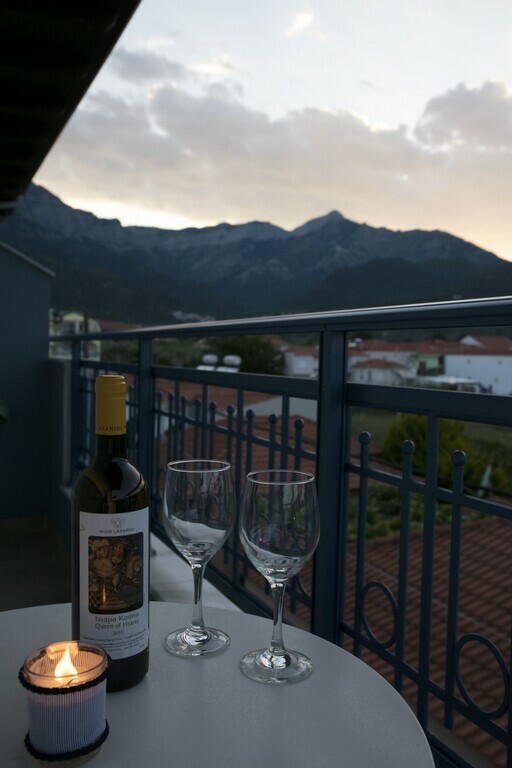 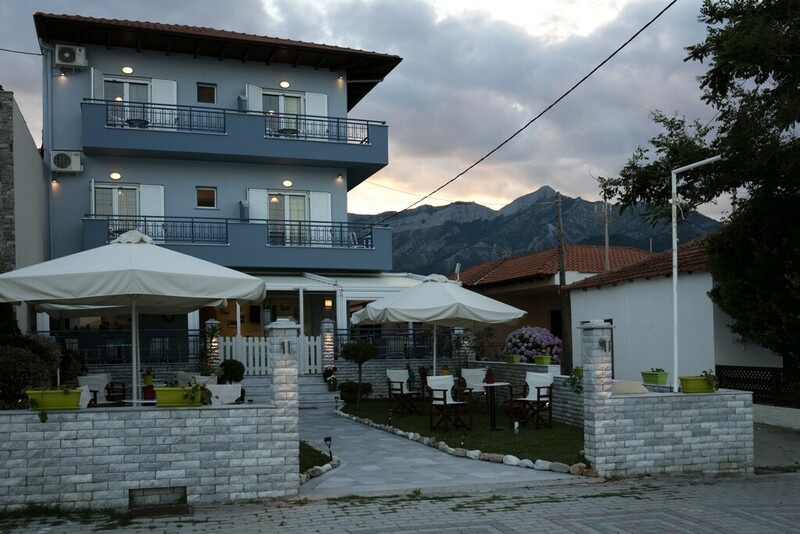 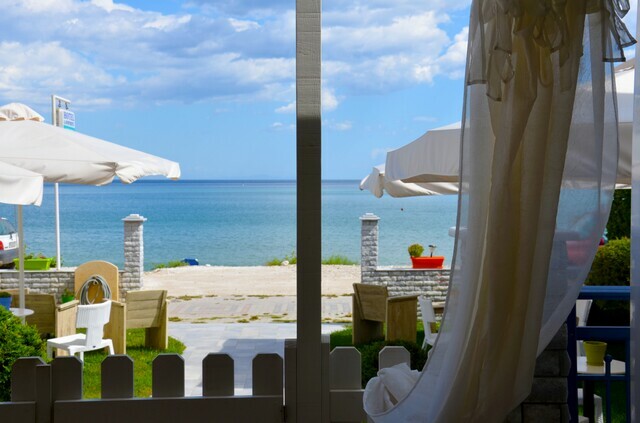 * Private balcony with fantastic sea view or mountain view. 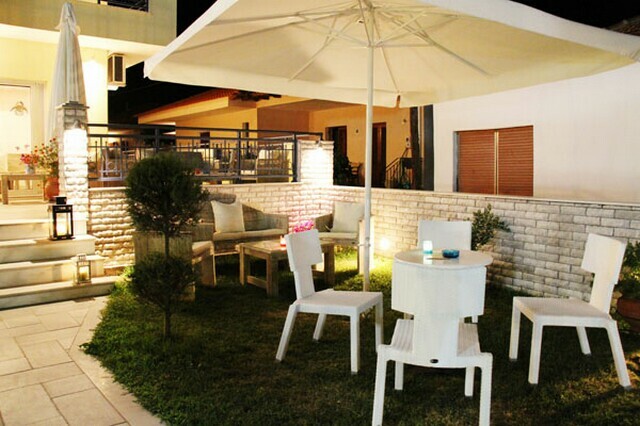 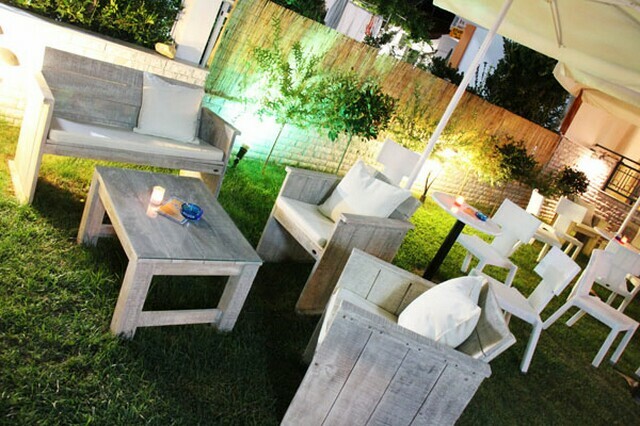 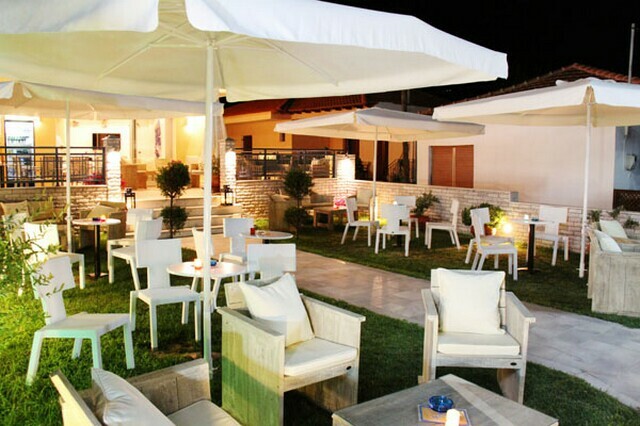 * Bar - yard with lawn for you and your friends. 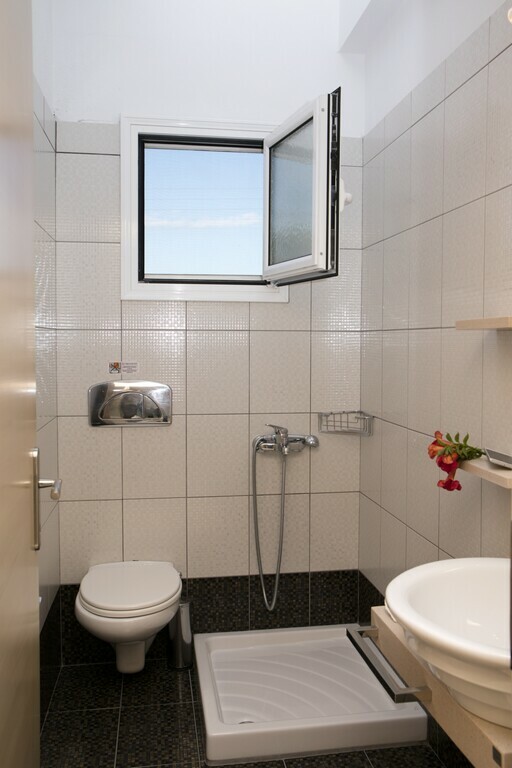 * And with fire protection.